It’s that time again. Firefox 14 is officially an ‘old’ browser; it’s time to welcome Firefox 15 to your PC. A range of typical resolutions can be selected or you can drag the (hard to see) resize control at the bottom-right of the box. It’s simple, yet effective. You’ll never need to resize the whole browser window again. 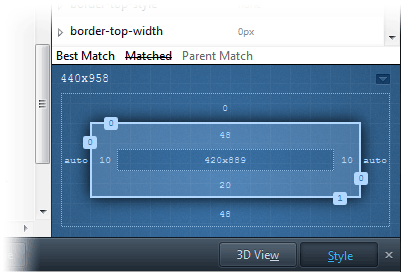 The graphic indicates the widths and heights of the box, padding, borders and margins. It’s a feature available in Firebug and several other add-ons, but it’s useful to have it in naked Firefox installations. Unfortunately, the debugger does not work correctly yet. It’s fine if you apply breakpoints to timer functions and event handlers, but it disappears and wipes your settings as soon as you refresh the page. I’ll revisit the feature in v16 — especially since remote mobile debugging will be implemented. Firefox 15 may be the last update you ever know about. From this point forward, all updates will occur in the background à la Chrome. This is good news for developers: most Firefox users will migrate to the latest version quickly and painlessly. Systems administrators may be less pleased; a new version could break a mission-critical application — although automatic updates can be disabled. I just hope it’s a little more efficient than Google’s updater which can hog slower machines for 10 minutes or more. 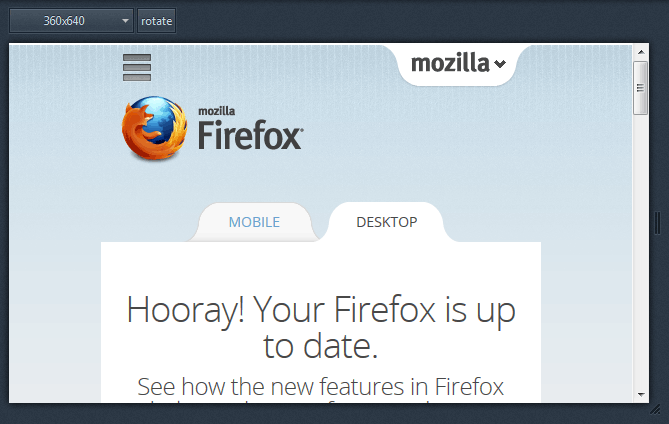 Firefox 15 is a great update. Mozilla may have lost ground to Chrome, but Firefox remains a capable browser which improves with every release. I wouldn’t want to develop web code without it. Firefox 15 is available for Windows, Mac and Linux PCs. You possibly have it already but, if not, head over to getfirefox.com.